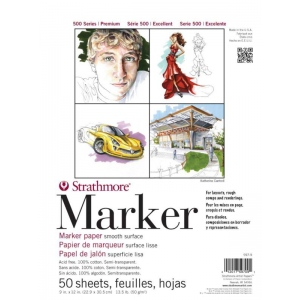 This smooth semi-transparent paper is designed to accept heavy coverage of felt tip markers without bleeding. * Developed for designers and graphic artists to create layouts rough comps and renderings. 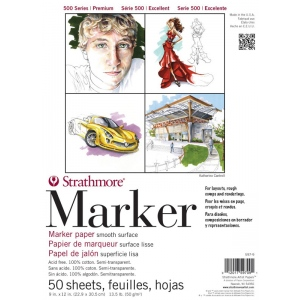 * Excellent with permanent and watercolor markers also suitable for pencil charcoal pastels pen and ink.